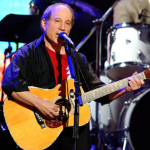 Weekend Picks 5/27-5/30: Paul Simon, Cloud Cult and more! It's Memorial Day weekend and while that usually means lots of hot dogs and beer, it SHOULD mean lots of music. Good thing that's exactly what's going on in DC. So whether you are a fan of indie rock, lo-fi, punk or Paul Simon rock (he's big enough to get his own genre right?) the nation's Capital has got you covered over the next few days! This show is LONG sold out and with good cause. Simon is one of the most revered songwriters in history. The fact that he's even playing a place this small surely made many a fan's heads implode so they probably won't be making it. And you wont' either unless you have a ticket or are Paul Simon. But if you fit either of those descriptions then let a out a good "HELL YES!" for yourself, especially if you fulfill the latter condition. Baileys Crossroads, Virginia lays just a few miles outside of DC, but in the 1980s it was apparently far enough to make it seem like a different world. The Virginia suburbs suddenly stepped up with the formation of Scream. There were punk shows being thrown in the basement of the Scream House, and the DC bands, always looking for a place to play, were making the trek out to what was known as BXR. Scream, like most of the bands in DC, obviously had been extremely influenced by the Bad Brains, but they seemed to be more advanced musicians and had more of a rock and roll sensibility than the others. In 1982, they went into Inner Ear Studio to record Dischord's first full length album, Still Screaming. 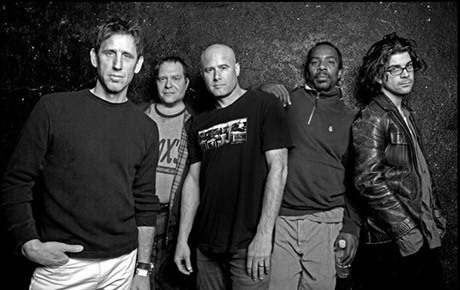 Scream released four albums on Dischord (as well as one on RAS Records, No More Censorship) and continued to play until the beginning of the 90s, doing a number of U.S. and European tours. They made a few line-up changes, including the addition of their friend Harley Davidson on second guitar, and when Kent Stax left the band, they asked a young drummer from Mission Impossible and Dain Bramage, Dave Grohl, to take over. After a number of years with "the Scream team", Dave went on to Nirvana and the Foo-Fighters. Like your music big and loud and complex and orchestral and rocking all at once? Well so do we. And so does Cloud Cult. Hitting the road at last after lead singer Craig Minowa's heart surgery, the band is bringing their unique brand of awesome to the Black Cat on Saturday night. Tickets are still available so what the hell are you waiting for? Check out a little about the band as well as their latest video below. Cloud Cult is currently on their second headlining tour of the US in support of their new album Light Chasers and will be introducing a new cellist – Daniel Zamzow – as well as new visuals which come in the form of a reintroduced back screen video. This time around they are using pre-filmed visuals synched with the music – a must see. This all happens as Cloud Cult is coming out of a trying time during which lead singer and songwriter Craig Minowa experienced health issues and subsequently went through heart surgery. The band found resounding support from fans and now, the band returns to the stage, refreshed and rejuvenated. 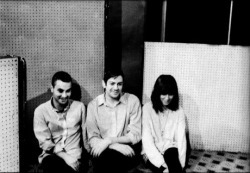 Bringing their grand shows to a new level, their unique brand of orchestral indie rock is once again titillating new fans and gratifying older fans! That's it until next weekend. See everyone at the rock show! Newer PostWin Stuff!! Win tickets to see Sondre Lerche @ the 9:30 Club on Tuesday, June 7th!